Endearingly known as ‘Holy Mother’, Sri Sarada Devi, the spiritual consort of Sri Ramakrishna, was born on 22 December 1853 in a poor Brahmin family in Jayrambati, a village adjoining Kamarpukur in West Bengal. Her father, Ramachandra Mukhopadhyay, was a pious and kind-hearted person, and her mother, Shyama Sundari Devi, was a loving and hard-working woman. After Sri Ramakrishna’s passing away in 1886, Sarada Devi spent some months in pilgrimage, and then went to Kamarpukur where she lived in great privation. 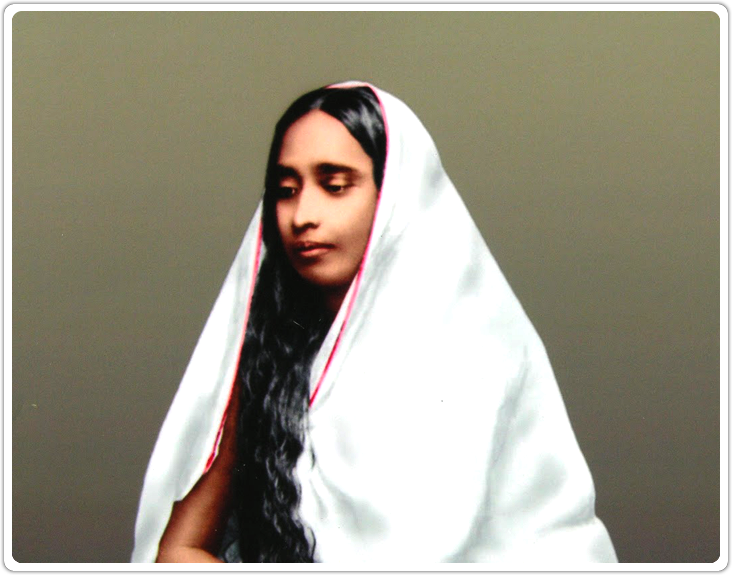 Coming to know of this, the disciples of Sri Ramakrishna brought her to Kolkata. This marked a turning point in her life. She now began to accept spiritual seekers as her disciples, and became the open portal to immortality for hundreds of people. Her great universal mother-heart, endowed with boundless love and compassion, embraced all people without any distinction, including many who had lived sinful lives. When the Western women disciples of Swami Vivekananda came to Kolkata, the Holy Mother accepted them with open arms as her daughters, ignoring the restrictions of the orthodox society of those days. 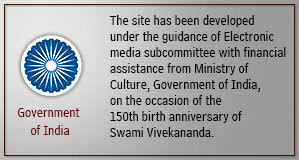 Although she had grown up in a conservative rural society without any access to modern education, she held progressive views, and whole-heartedly supported Swami Vivekananda in his plans for rejuvenation of India and the uplift of the masses and women. She was closely associated with the school for girls started by Sister Nivedita. She spent her life partly in Kolkata and partly in her native village Jayrambati. 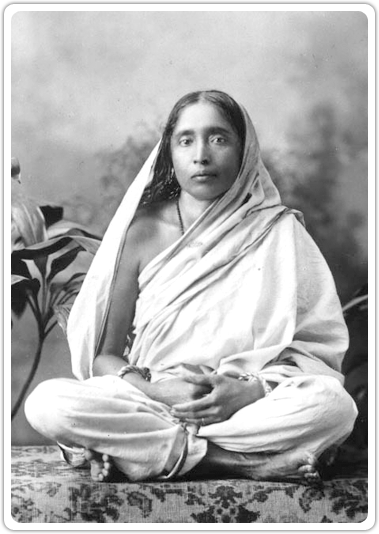 During the early years of her stay in Kolkata, her needs were looked after by Swami Yogananda, a disciple of Sri Ramakrishna. 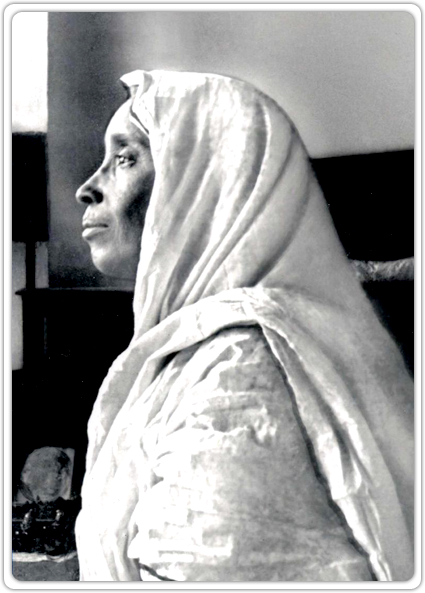 In later years her needs were looked after by another disciple of Sri Ramakrishna, Swami Saradananda, who built a new house for her in Kolkata.